Two train lines go through Furano and stop at Furano Station. The nearest ski lift at the Kitanomine area of the resort is about 3km from the station. 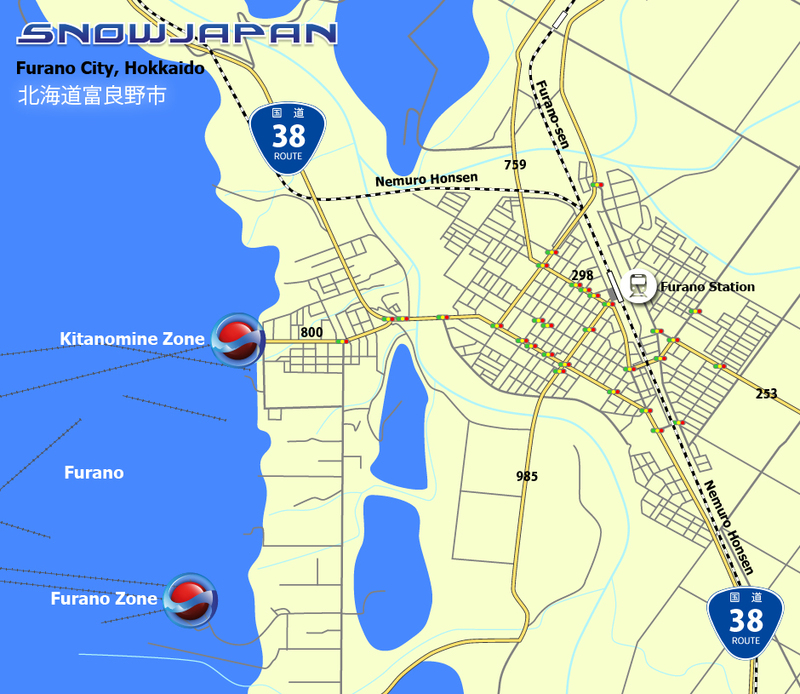 Taxis and various bus services are available from the Furano Station to the resort. The Nemuro Honsen operates from Takikawa Station to the north-west of Furano and continues on to the south east of Hokkaido and through to Nemuro Station. (Higashi Nemuro Station is actually the most easterly located train station on the Japanese rail system). The Furano-sen line runs between Furano Station and Asahikawa Station to the north. This journey is around 185km and usually takes around three hours. This journey is around 216 and usually takes around three and a half hours. This journey is around 138km and usually takes around two hours. This journey is around 55km and usually takes just over 70 minutes. For detailed information on how to get to Furano by car, please go to this section.